Today, we went to the library. We took back all the books we were finished with, and brought home bags full of new books. 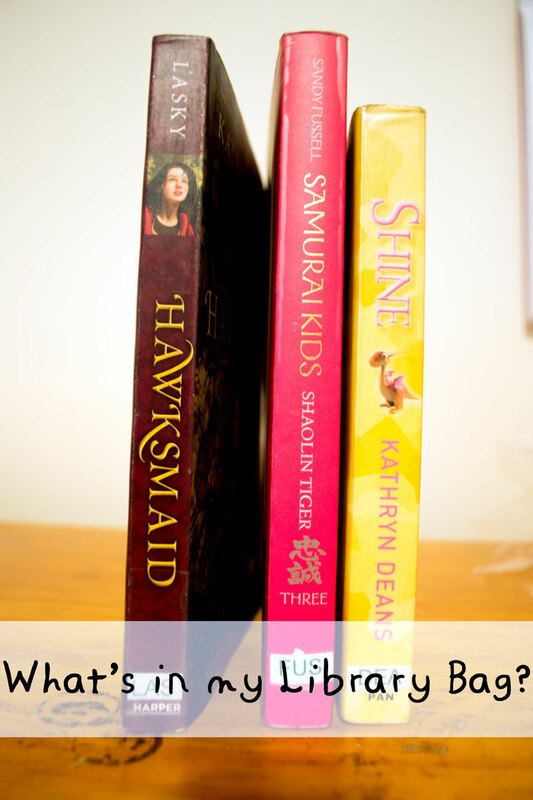 For today's post, I've picked out three of the books I borrowed which I'm really looking forward to reading. Hawksmaid. I read this book a few years ago, but to be honest, I can't remember much about it besides that fact that I enjoyed it. Matty has been raised to dance well, embroider exquisitely, and marry nobly. But when Matty's mother is murdered before her very eyes and her father, a nobleman, is reduced to poverty, Matty's life changes. As the daughter of Nottingham's most famous falconer, she finds a new destiny in the hawks her father keeps. She begins to understand their thoughts and even speak their language. The beautiful merlin Marigold becomes Matty's closest winged companion and her fiercest ally. It is a treacherous time in England. The sheriff of Nottingham is rising to power, and a true king has been kidnapped. Determined to fight, Matty's friend Fynn becomes Robin Hood. As Maid Marian, Matty joins Fynn and his Merry Men, famously robbing from the rich to give to the poor. I've already started reading Hawksmaid. It's just as good as I remember it being. I love all the information about falconry that is included in the story, I've always wanted to know more about hunting birds. 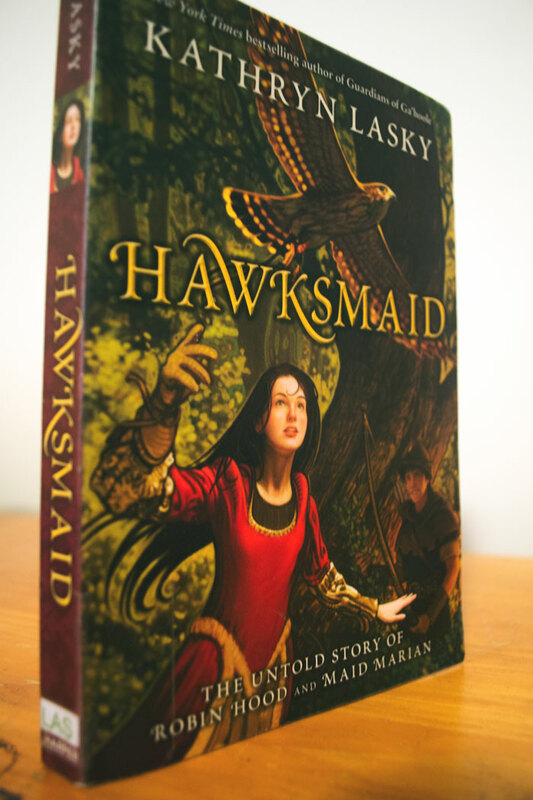 I can't wait to finish Hawksmaid.. Maybe I'll write a Book of the Week about it. Shine. I read the first two books in this series a long time ago. I couldn't find Shine in the library though. The other day, I finally got around to asking Mum to reserve it for me and now it's sitting in my library bag, waiting to be read. 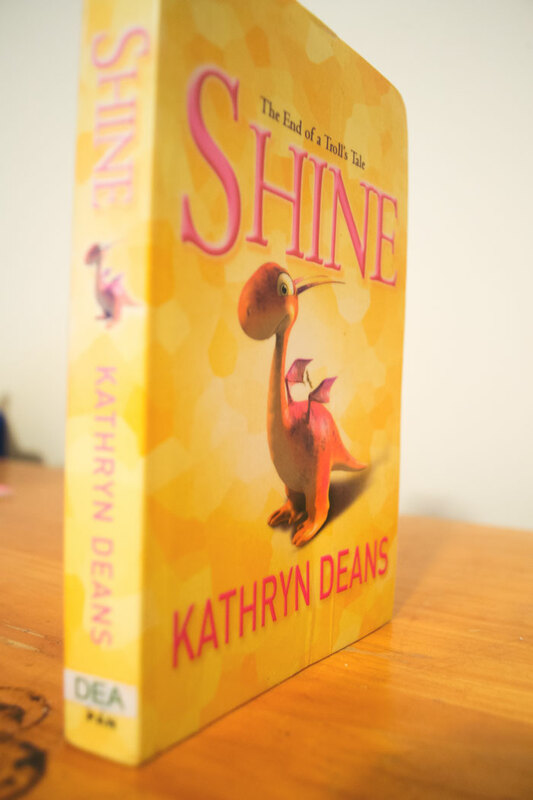 But before I read Shine, I want to reread the books that come before it, Shimmer and Glow. Summary: Grieve and his gang are stuck on the ever so ghastly Dismall. who knew, when they were looking for an escape from the demented fairy Bluebell, that they'd land on the nastiest of all, the worlds? Now Grieve and his intrepid band must deal with dragons - hungry dragons. with one of this crew dangerously ill, he know he must get home, and fast. I love how this series is so different from normal fantasy novels. I was really surprised to find out that the trolls were the good guys, they actually were the inspiration for one of the characters in one of my own novels. Shaolin Tiger. 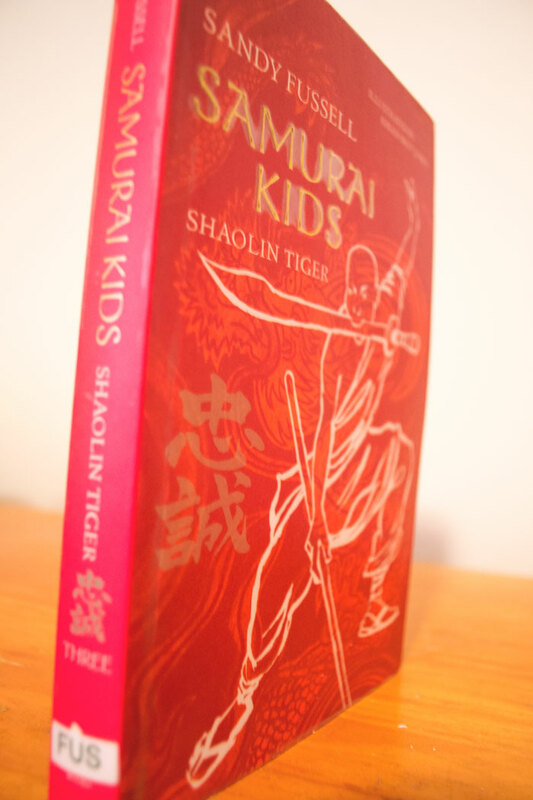 The Samurai Kids are some of my favourite books. They're full of interesting facts about Japan, Samurai and different fighting styles. Summary: Long before Sensei Ki-Yaga built the Cockroach Ryu, he travelled to China and studied at the Shaolin Temple in the north-western Song Shan Mountains. Sensei promised to return to help the abbot in the Temple's time of need. When the Samurai Kids learn that the abbott has a treasure in need of safekeeping, they set off on a journey to China. Before I started reading the Samurai Kids series, I didn't know that much about ancient Japan or Samurai warriors. Now that I know a bit more about them, I'd love to write my own book about Samurai. What books are you looking forward to reading? Do you have any suggestions as to what I should borrow next library visit?